TRIMS is loaded with innovative Program Functions designed to increase productivity and efficiency. 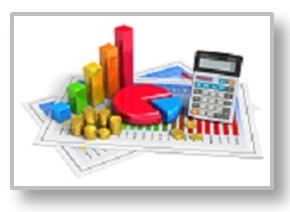 Fast Accurate Budgeting - TRIMS Budget & Expense Tracking module is a complete Financial Recording and Reporting System. With TRIMS, all your information is instantly at hand. You will know exactly where every dollar and labor hour was spent. Track operational and maintenance expenses with ease. Setup options allow you to configure TRIMS to meet your specific recording and reporting needs. You can customize your chart of accounts or use the template provided. No more hours spent wading through invoices and files to come up with figures at budget time! TRIMS software users consistently report their budgets take less time to prepare and look more professional than ever before. You will be able to substantiate the validity of additional budget needs with accurate reports that justify your cost estimate. Inventory Control - TRIMS Inventory System tracks spare parts, supplies, and fuel as they are purchased and consumed. And best of all, it's easy! Items are entered into Inventory by Purchase Orders and removed through Work Order Activity or Fuel Pump Ticket Recording. You can even record non-inventory items such as contract labor and consulting services. Purchase Orders are used to update your inventory, record expenditures and track vendor activity. Order Status showing items ordered, received and back ordered is instantly available. When on-hand quantities fall below preset levels, TRIMS has a special alert feature which highlights those items needing to be purchased. You can easily create a Purchase Order and fax or email it directly from your TRIMS System. 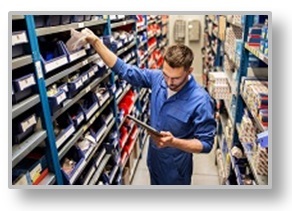 Vendor File - Need to find out which Vendor you last purchased a spare part from? TRIMS Vendor File is integrated with both Inventory and Purchase Orders allowing ALL Vendor Activity and Latest Costs to be tracked with no additional data entry. Detailed Employee Records - Maintain up-to-date employee files with wage history, review dates, sick days used, vacation days available, medical notes, performance reviews, training records, and a variety of other pertinent information. TRIMS calculates gross pay from employee time sheets and applies payroll expense directly to your Budget/Expense Accounts. As employee time sheets are entered, TRIMS will record time spent performing individual labor tasks and logs equipment usage hours for that task. Smart Phones for Labor Entry - Labor Hours can also be entered by Employees on their Smart Phone or Tablet making data entry fast and accurate. Tracking Labor Hours - Reports and Graphs show labor hours and costs involved in each project as well as details on each labor function performed. At the end of any time period you will have a concise report showing where and when the work was done. Employee White Board Schedule - Put a Computer Monitor with Internet access in your break room to display scheduled daily activities for employees. Activities can be added or editing from within TRIMS or anywhere in the world via TRIMS Cloud. Equipment & Property Records - Identify the equipment and areas you wish to monitor. You can choose equipment, grounds areas, buildings, parks, trails, campgrounds, sports fields, playgrounds, golf course, and much more. Keep up-to-date records including preventative maintenance schedules, repair logs, usage history, supply and fuel records. TRIMS Equipment and Property Records are updated automatically whenever Labor Activities are entered, Work Orders are processed, or Fuel Tickets are recorded. 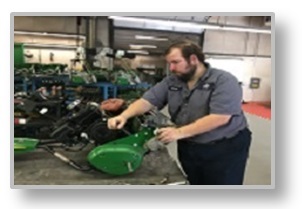 Maintenance Scheduling - Effectively schedule required maintenance activities on equipment and property areas. Work Orders and Service Check Lists are printed for scheduled maintenance events as a reminder to your crew of special requirements, procedures, and recommended spare parts. Maximize Equipment & Property Life - Accurate maintenance cost and equipment usage tracking helps you to make the right "repair or replace" decisions without guesswork. Hidden costs such as aging equipment needing frequent repair can be quickly identified and dealt with before expenses get out of control. Equipment Fast Load - Select Equipment from a list of Jacobsen, Toro, John Deere, and other Manufacturers and TRIMS will instantly build your Equipment List along with Equipment Maintenance Schedules. Extended Site Inventory - Maintain inventory of individual components located at a specific site or within a group. Fuel Inventory Reports - eComplete fuel pump and storage tank records are maintained, accouting for every gallon purchased or pumped. Pump and Tank Reports show each fuel transaction and call attention to discrepancies caused by fuel vendor billing errors, recording errors, theft, and possible storage leakage. As Pump Tickets are entered, TRIMS integration automatically updates vehicle fuel usage, fuel budget/expense accounts, inventory stock levels, tanks, fuel inventory records and pump activity. 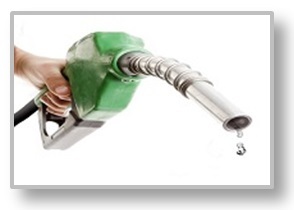 Eliminate Data Entry - Key/Card fuel systems can be used to collect fuel usage information that can be imported into TRIMS. Reduce Chemical Costs - Get accurate calculations based on the surface area you specify. Application rates allow for the purchasing and mixing of the exact amount of material needed to get the job done. Chemical Application Records - Whenever chemicals or nutrients are to be applied, use TRIMS to calculate exact quantities needed. Select the product to be used, treatment area, application rate, and sprayer or spreader. TRIMS automatically calculates equipment setting, speed of travel and product mixing proportions. A permanent record is kept of each product application including date, application rate, area treated, reason for application, weather conditions, personnel applying the chemical and recommended safety equipment. Safety Data Sheets - TRIMS provides Internet Links to over 140 Manufacturers and more than 6000 Agricultural Product Labels and SDS's. Open Data Base Connectivity - TRIMS Open Data Base Connectivity allows you to use your TRIMS data files with Microsoft Office®, WordPerfect Suite® and other ODBC compatible software to create specialized spreadsheets, reports, graphs and labels. Custom Report Writer - TRIMS includes a Custom Report Writer that allows you to design your own customized reports from the many data files that make up the TRIMS System. Report formats may be created, saved, and edited to fit your needs. The Custom Report Writer offers you the ability to select the data to be included, the presentation order, and layout of how the information is to be formatted on the report. Report output can also be formatted and exported to an ASCII data file. Excel & PDF Printing - When printing reports you may export many reports directly into Excel for further modification or save all reports in PDF Format using a PDF Printer Driver that TRIMS supplies on the CD-ROM. Internet Access - TRIMS allows you to seamlessly access the Internet, send Purchase Orders via Email, and download Material Safety Data Sheets and Product Labels for over 1600 Turf & Ornamental Chemical Products. Incident Log - The TRIMS Incident Log provides a means to track when and where happenings such as chemical applications, grounds work, and vandalism occur. The Incident Log allows you to graphically mark the location of these incidents on scanned drawings, aerial photos or AutoCad® DXF files. Graphical information makes it easy to identify and view patterns or distinguish problem areas. Happenings can be manually entered into the Incident Log or captured automatically from work orders and chemical applications. Reporting options allow you to report specific incident types, selected grounds areas, or incidents occurring within a date range. GPS/GIS Mapping System Compatibility - TRIMS is compatible with mapping software such as ArcView® to allow equipment, property and tree data to be mapped. TRIMS data files contain GPS coordinates which will export into ODBC compliant GPS/GIS Mapping Software programs. DocView Document Library - DocView allows you to import, view and print documents downloaded from the Internet in Adobe® PDF format. Documents such as Safety Data Sheets, Product Specifications, and Maintenance Schedules can be displayed and printed in their original format using DocView. Multi-User Networking - TRIMS is built on a robust multi-user database engine that allows multiple users to access and modify data files concurrently. File and record locking procedures insure that your files will be updated without any data loss or file lockup problems. TRIMS includes a multi-user license for two concurrent users and is Network compatible with Microsoft Windows® XP, Vista, Windows 7, Windows 8, or Windows 10. Multi-User capacity can be increased by the purchase of additional user licensing. Daily Calendar - When TRIMS Grounds Management Software® is launched, a Daily Event Calendar automatically appears with the current date highlighted. Employee Birthdays and Chemical Application Plans are automatically placed on the calendar for the user. When the Chemical Application has been completed, TRIMS will automatically remove the application from the Calendar. Record miscellaneous happenings such as special events or recurring jobs to help plan your day, week, or month. DrawView Drawing Viewer - View and print AutoCad® DXF files, scanned drawings, blueprints and photos of your grounds. Zoom and pan functions allow you to view and print sections of drawings at any desired scale. Detailed drawings can be used to illustrate reports, identify the location of equipment or grounds areas needing service and to communicate to your crew the exact location where work is to be performed. Weather Station Communication - Chart manually entered data or data captured from automatic recording weather stations. 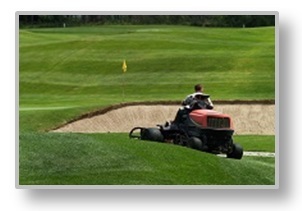 TRIMS Grounds Management Software® comes standard as a 2-User Network System. - Microsoft Windows XP, Vista, Windows 7, 8, and 10. Optional: Ethernet, Wireless Network, Internet Access, Backup Device, Sound Card, or Scanner.